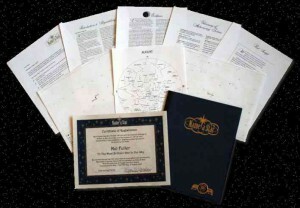 Give a unique gift that will last a lifetime when you buy a Name a Star Gift Package for that someone special from the original star naming service. Buying a star allows you to give the perfect gift for any occasion, one that will be remembered with each glance at the stars. Print your certificate immediately after placing your order! Click here for packages and prices on all of our products! The Name a Star Deluxe Memorial Stars are dedicated in honor of your loved ones, and placed in the Polar region of the sky visible year round in the Northern Hemisphere. The beautifully detailed Print-it-yourself Certificate is suitable for framing and can be given as a memorial or for any other occasion. 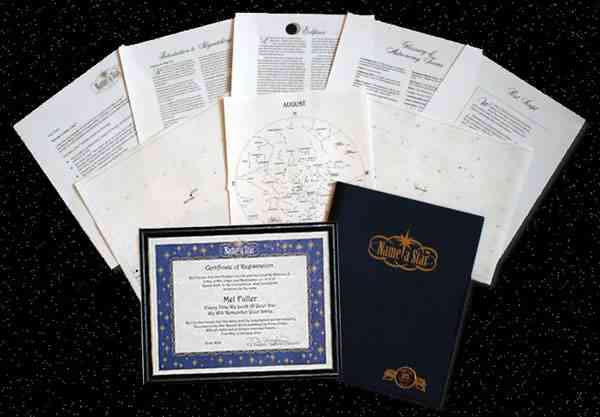 The Deluxe Name a Star Kid’s Package includes a standard bound portfolio, a second framed certificate, plus a children’s Twilight Companion. Name a Star Memorial Stars are dedicated in honor of your loved ones who have passed away. A Memorial Star is an extraordinarily powerful gift. Keep memories alive with a simple glance to the heavens. The Memorial Star is placed in a constellation that is visible all year. Dedicate a star now. 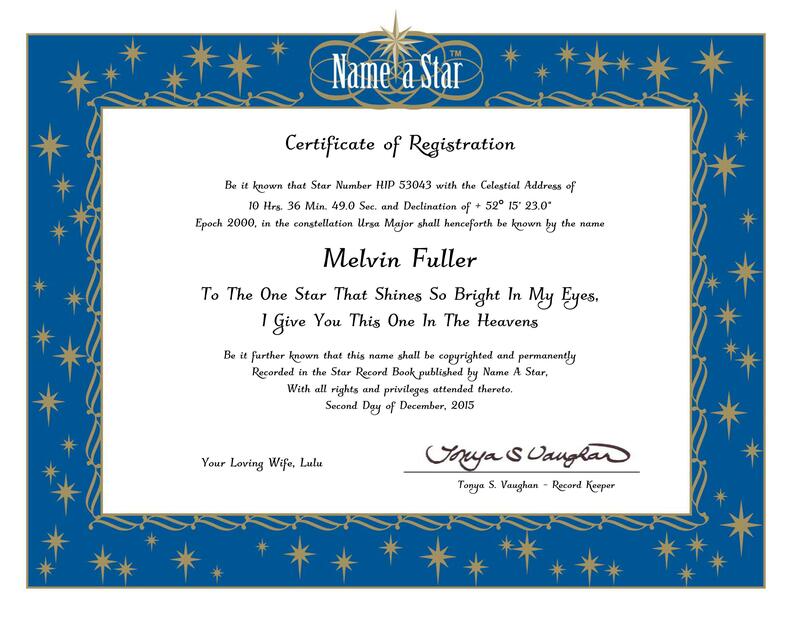 You can buy a Name a Star gift and present it to friends, relatives or loved ones for a birthday, wedding, anniversary, graduation, retirement, Valentine's Day, Christmas, or Hanukkah. 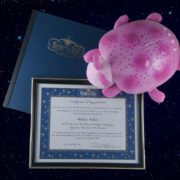 You can buy and present a star named for Father's Day, Mother's Day or any other special occasion. 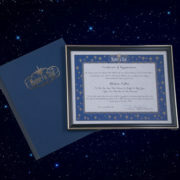 What could be a more memorable gift than a star named for a loved one, someone special, or in honor of a holiday, achievement, special occasion or to show your appreciation? Kids packages include Twilight Companions that project star constellations onto the ceiling. 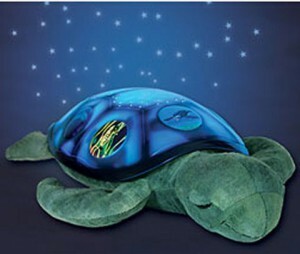 Help your children relax and fall asleep with their very own star—the perfect night light! Honor the special child in your life with their own star. See our kids’ star packages now. It’s easy to name a star after someone special with Name a Star, the Original Star Naming Service Since 1978. 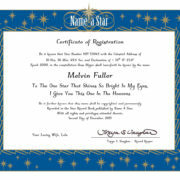 Create a personalized star name and customize your star certificate. In a hurry? 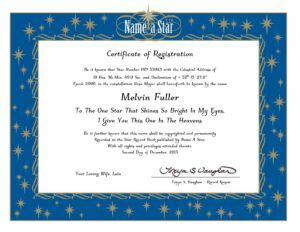 You can get an instant name a star certificate. Name a Star -The Original Star Naming Service - Since 1978® You can buy a star with confidence from the original star naming service. When you register a star name, we record it in the Name a Star Record Book. © Copyright 2019 Name A Star -The Original Star Naming Service - Since 1978®. Buy A Star With Confidence.